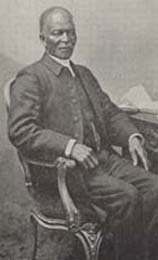 S. J. Celestine Edwards From Slavery to a Bishopric, or, The Life of Bishop Walter Hawkins of the British Methodist Episcopal Church Canada. From Slavery to a Bishopric, or, The Life of Bishop Walter Hawkins of the British Methodist Episcopal Church Canada. African American clergy -- Canada -- Biography. African Americans -- Canada -- Biography. African Americans -- Maryland -- Biography. British Methodist Episcopal Church -- Clergy -- Biography. Fugitive slaves -- Maryland -- Biography. Plantation life -- Maryland -- History -- 19th century. Slavery -- United States -- History. Slaves -- Maryland -- Social life and customs. Christian Theological Seminary Library, Indianapolis, Indiana provided the text for the electronic publication of this title.